So, what is wrong with the Swedes? ‘In the world at large, especially in the English-speaking world, the Swedes seem to be universally popular. Their clean-cut profile as honest, caring, well-informed, efficient plodders who produce quality goods delivered on time sits well with their frequently well-groomed appearance, good sense of dress and (forgive the stereotyping) blond hair and blue eyes. Their English, grammatically proficient, is clean and crisp, like that of Scots who went to Oxford. They have impeccable manners and say all the right things – for the first 15 minutes. It is somewhat surprising, therefore, to discover that they are unpopular inside the Nordic area. The fact that none of the Swedes’ neighbors – Denmark, Norway, Finland – have any undue reputation for aggressiveness makes their antipathy all the more unexpected. What is wrong with the Swedes? So I am handing the question over to you, my dear readers. Now’s your chance! What is wrong with the Swedes? Please post your answers in the comments below, or on my Facebook page. Feel free to also share this blog and spread the question to a wider audience. Swedes, and non-Swedes, are all welcome to comment! But please keep a respectful tone! Do you see the horse? Much intercultural understanding arises from misinterpretation and misconception. We tend to think our perceptions of something are correct, when often they can be very wrong. What we see usually isn’t the whole picture. In a cultural situation, simple situations such as how much eye contact we give people when we talk, how close we stand to somebody when we communicate and what kind of gestures we use are all examples of things that can easily lead to misinterpretation. I remember when I moved to Sweden and some of the misperceptions I had because I didn’t understand the whole picture. I remember, for instance, thinking Swedes were unfeeling, purely based on the lask of emotional response and the more reserved body language than I was used to. I was wrong. Just because a person doesn’t gesticulate or emphasize when they speak does not mean they feel any less. The road to cultural sensitivity is paved with misunderstanding, misinterpretation and false perception. One key is to suspend judgement about another person or a specific situation and instead try to see the larger context. To ask ourselves why might this have happened? What are all the possible interpretations? Look at it from another angle, who knows what might emerge. 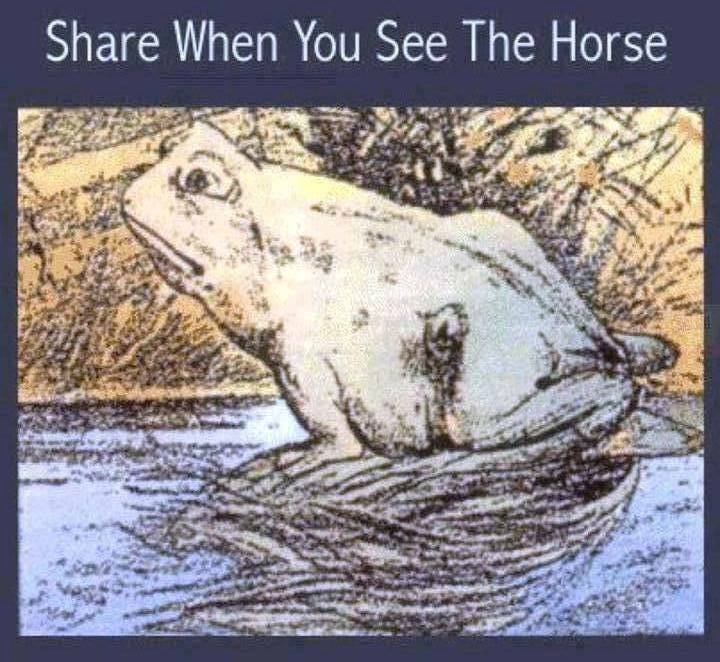 Just like in the visual above…so, do you see the horse?